Release Date: March 28, 2014 – U.S. The director Wes Anderson has often been accused of overbearing artifice. In his latest vision, "The Grand Budapest Hotel," he embraces his eccentric excesses to the hilt – and it works wonderfully. 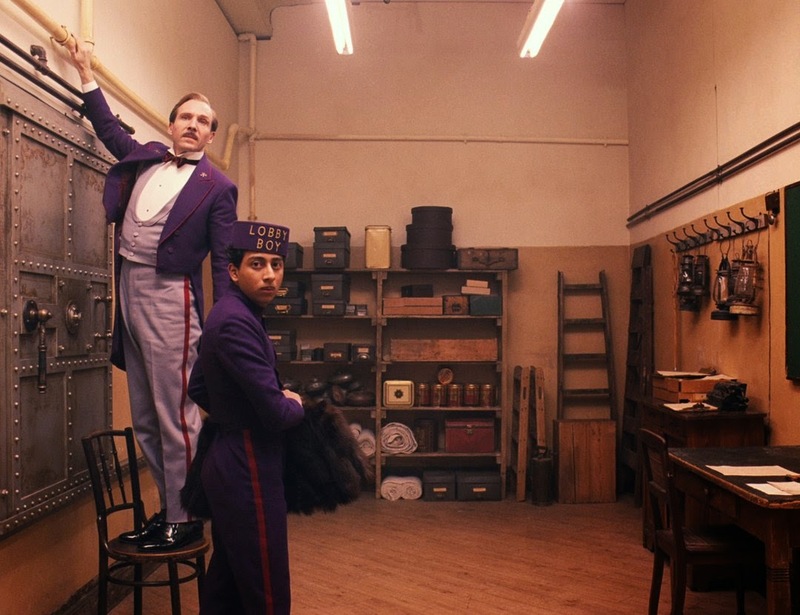 "Grand Budapest" has the whimsy of a well-worn fairy tale – the naughty kind told after a few drinks. It is literally a work of art – every single frame of the film is beautiful enough to hang on a wall – and the acting matches the scenery. Ralph Fiennes is pitch perfect as a bombastic British buffoon who plays it straight all the way through. As this tale begins, a writer (Jude Law) visits the hotel to interview its purported owner, Mr. Moustafa (F. Murray Abraham). Moustafa recounts the history of the Grand Budapest, and the movie flashes back to 1932 and the madcap misadventures of M. Gustave H. (Fiennes) and his loyal lobby boy, Zero (newcomer Tony Revolori). The frazzled twosome find themselves in the middle of many bizarre scenarios – including a stolen painting, a jailbreak, interacting with a crazed cast of characters (including Adrien Brody, Willem Dafoe, Jeff Goldblum, Harvey Keitel, Bill Murray, Edward Norton, Saoirse Ronan, Jason Schwartzman, Tilda Swinton, Tom Wilkinson, Owen Wilson, and others in big and small roles), and...the Prussian Grippe. What is the Prussian Grippe and who does it befall? You'll have to see the movie to find out! It gets even wackier: It turns out that Moustafa (F. Murray Abraham's character) is the older version of someone we'll meet on this journey. However, the two performers cast in these roles look, sound, and act nothing alike. 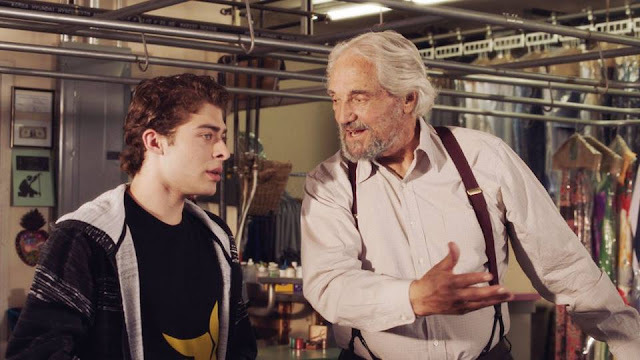 But I'm not complaining: I always welcome F. Murray Abraham on my screen – and even though the disparity between him and his younger self is utterly ridiculous, it somehow adds to the film's zany charm. "The Grand Budapest Hotel" is a joy to behold. It's colorful and funny. It will make you smile. Not too many movies can do that anymore.